This bundle is NOW COMPLETE! 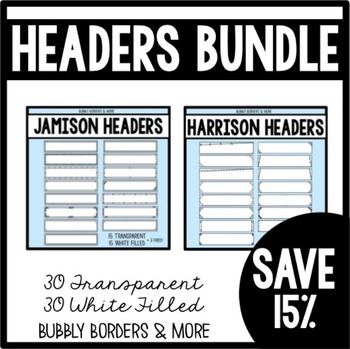 It includes the Harrison Headers and Jamison Headers. ·Buy this bundle and save! ·All files are 300 dpi (clear & crisp printing) and will fit the top of worksheets or covers perfectly!